Never, ever should a parent relinquish control over their child’s athletic and educational development. I realize that many are faced with seemingly insurmountable challenges trying to raise a family in very tough economic times. Nonetheless, I must insist that parents somehow maintain regular (weekly or monthly) contact with teachers to help their son remain organized and focused on meeting academic goals. 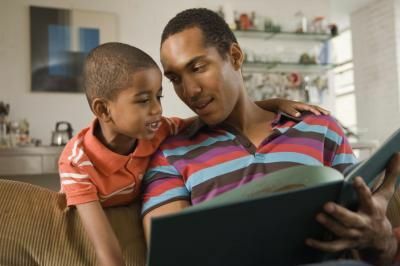 No matter what, parents must remain committed to and engaged in their son’s educational development. It is highly unlikely that others will care about their child’s education as much as they do. As a parent you must, at all times, remember that academics are more important than athletics. With the high cost of attending college, many parents have chosen pursuit of athletic scholarships as a means of financing education. Although inherently risky, this strategy is widely utilized and will likely continue to grow as colleges becomes more expensive every year. For example, Drexel University estimates the “Cost of Attendance” for a full-time 5 year undergrad at $64,475 per year. Total cost at St. Joseph’s University is $53,130. Temple, a public university, comes in at $24,872 per year. Within this context of spiraling costs, athletic scholarships are very attractive and valuable to parents looking at these price tags. Ideally, parents of college-bound student-athletes would research and hold accountable a diverse supply of AAU programs, skill trainers, “workout guys,” strength and agility coaches, subject tutors and Test Prep services. Parents would utilize and review these services while sharing their findings. This information would then be disseminated among successive waves of parents. Over time, fully informed parents would invest in services that have demonstrable results. Eventually, those with poor outcomes would go away. In this ideal scenario, fully informed parents pursing their self-interest have a profound and positive impact on youth basketball culture. Unfortunately, most low-income African-American parents are neither fully informed nor acting in their self-interest. Only a relatively small segment of working class and poor Black parents have a keen and thorough understanding of the college preparation and application processes. For the most part, these parents are college graduates themselves. Many have served in the military. Quite a few are in school themselves. They are the Moms and Dads that come to every game. These are the parents selecting private and Catholic schools. They understand the significant differences in test scores and achievement levels at traditional neighborhood public schools on one hand and tuition based options on the other. These Parents, when involved in youth sports, are likely to exhibit “motivated” behaviors. Motivated parents use their hard earned resources to obtain valued educational outcomes. Motivated parents spend tens of thousands on tuition, test preparation and summer programs. Motivated parents have made a conscious choice to pursue college as a goal and athletics as potential means of funding the cost of attendance. Given this choice, their behaviors make perfect sense. In pursuit of athletic scholarships, motivated parents find sports clubs for their children. They expose their children to travel competitions. Many kids have personal trainers, workout guys, speed coaches, nutritionists, etc. Motivated parents have not and will not forfeit the parental responsibilities associated with their children’s education. These parents are a valuable asset in youth sports. These are reliable highly desired parents. Unfortunately, many parents of very highly desired players do not to exhibit motivated behaviors. Revenue producing college basketball and college football are dominated by Black athletes. “Ninety percent of the NCAA revenue is produced by 1 percent of the athletes. Go to the skill positions—the stars. Ninety percent (of the 1 percent) are Black,” says Sonny Vaccaro. These stars, by and large, emerge from poor Black homes. The model has to be adjusted to explain and help poor Black families make better educational decisions. The fact is, parental behaviors are significantly different among low-income parents in these poor homes. 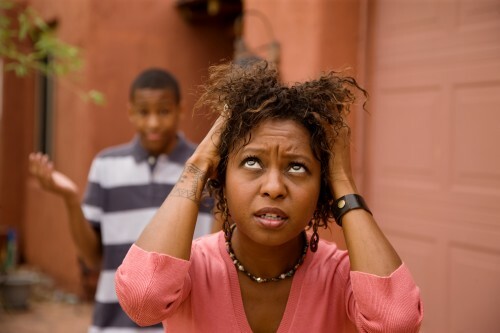 Many low-income Black parents, especially single mothers, are frustrated parents. Their behaviors vary considerably from motivated parents. They really don’t have time to research and compare AAU programs and skill trainers. Many are unemployed and underemployed. Many are receiving public assistance. Some are working two or more jobs. The current minimum wage is $7.25 per hour. A full-time minimum wage employee earns $15,080 annually. The poverty threshold for a family of four with two children is $22,283. In Philadelphia, there are approximately 433,ooo people living below the poverty level. Over 789,000 Philadelphians live in households earning less than $35,000 a year. For current purposes there is no need to establish a threshold where poverty ends and affluence begins. The discussion refers to low-income Black residents of Philadelphia. It is not too difficult to identify Black Philadelphia families that are struggling to make ends meet. Year after year countless elite basketball and football players emerge from low-income Black homes in places like Philadelphia. The beast that is collegiate and professional athletics demands that decisions be made on behalf of these young men. Someone has to deal with the college recruitment process. Unlike fully informed and confident motivated parents, frustrated parents tend to “hope” their children will graduate from school. Failure, truancy and dropping out are normal behaviors in many low-income homes. The plain fact is that most of Philadelphia’s poor Black and Latino boys don’t graduate high school. According to 2009 data, the graduation rate in Philly is 45 percent for African American males and 43 percent for Latino males. At Camden High the overall graduation rate is 42% and at Woodrow Wilson it’s 46%. Across the country, there are 12 states where the Black male graduation rate is below 50%. The streets are teeming with school age black boys and young black men who are disengaged from the educational system. Of course, frustrated parents express a desire to see their child earn an athletic scholarship. However, they are concerned first and foremost with the elementary imperatives of life. Poor Black parents are concerned primarily about survival on a day to day basis. The have to pay the rent or mortgage and keep the heat on. Toward that end a consistent objective is “getting through” social ordeals without injurious stress. They prefer predictability, not a life governed by random and arbitrary “drama.” When their child begins to display athletic talent many low-income parents let someone else “handle” that basketball stuff in an effort to avoid what they perceive as unnecessary drama. We all know or have heard about parents that want an athletic scholarship and their child changes high schools 3,4,5 even as many a 6 times for basketball related reasons. As motivated parents, we know that there is no justification for transferring a student that many times. These actions just make no sense from a “parental” perspective. In some cases, astonishing decreases in the level of academic rigor and prestige were associated with the moves. A few young men have left elite private institutions where the average M/V SAT score is above 1300 to transfer to Philadelphia public and charter schools with average SAT scores in the 600s. The private schools wanted the young men to stay. Clearly, in these cases, high SAT scores and gaining admission to competitive schools are not significant causal factors. For those trying to gain insight into the world of grassroots basketball and college recruiting, the motivated parental concept is of little use in these cases. Within Philadelphia’s youth sports culture, every year hundreds of poor Black boys and girls long to go “D1.” These kids play on the streets and playgrounds of Philadelphia. They don’t have any money. They can’t afford AAU and travel ball. They have never heard of a skill trainer or a strength coach. Maybe a church or a recreation center sponsors a league. Talented, determined and hungry kids stand out when they compete. Eventually, someone will notice the poor, talented, determined and hungry boy that just wants to play ball. They will approach his mother and offer to “handle” her son’s basketball development. Over the years, handlers have developed very persuasive versions of what is fundamentally a very strong pitch: if she allows him the work with her son he will earn an athletic scholarship to pay for college. Days turn into weeks, weeks become months and the handler begins to suggest the boy play for this summer league team and/or that AAU program. Joining the new team will likely mean another pair of sneakers or two, most likely Nike or Under Armor. The boy will likely travel to places like Las Vegas and Orlando. Inevitably, the handler requests that the boy reclassify (intentionally repeat a grade) and/or change high schools. He will sell the parent on the idea that such a move is in the the child’s best interest. Meanwhile, Mom is extremely appreciative of the sneakers and other basketball related gear the handler has provided her son. Those shoes cost anywhere from $100-180 a pair. She is also pleased that her son is able to travel to distant cites and play basketball. With that, the deal is done. For a few pairs of sneakers, a few meals and other nominally valued trinkets, Mom has essentially given control over the direction of her child’s education and athletic development to his handler. Because they have become so widespread and influential handlers warrants careful consideration. Frustrated behavior is deeply ingrained among low-income African-American parents and students. We must take this fact into account in any attempt to improve educational outcomes among poor Blacks. Discussions with college coaches reveal very few elite basketball athletes do not have handlers. Local Division 1 assistant coaches estimate that 80-90% of the kids they recruit have handlers. Many coaches report that it is entirely possible to recruit some of the best players in the country without ever communicating with parents and high school coaches. Are there positive contributions made by handlers? In cases where parents have chemical dependence or alcohol abuse issues, a handler can help a young man develop his skill and understand the role athletics can play in shaping his educational future. In cases where fathers are incarcerated, handlers can set limits and enforce consequences for boys trying to transition to manhood. How are we to understand the decision making processes of the handler? Of course, handlers are motivated by self-interest. The real question is: Does the self-interest of the handler line up with the interests of your family and your child?